Her Majesty’s fleet took an austerity beating in October; that’s when it learned its flagship HMS Ark Royal would be decommissioned. 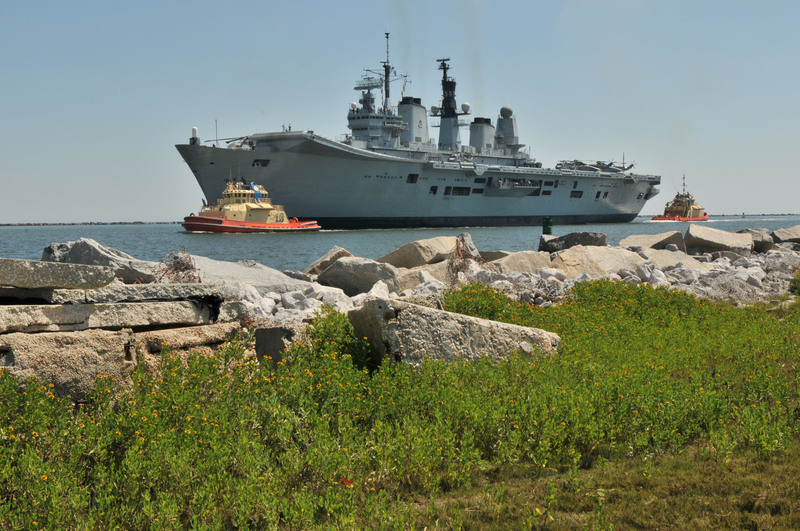 On Friday, the doomed carrier pulled into Portsmouth, England, for the last time. “It’s very emotional,” said Leading Seaman Paul Stockell, one of those who had tears in his eyes — and not just because of the biting wind –as he helped bring the ship alongside in Portsmouth today. The Guardian put together a nice slideshow that you can view here.